As well as providing an extensive array of courses and learning opportunities within the academic curriculum, we want all our students to be confident, independent, self-disciplined, participators, performers, communicators, creators and culturally educated. Providing our students with an enriched curriculum and broad extra-curricular programme of activities, to fully equip them with the skills necessary to be active and successful members of the wider community, is at the heart of our school ethos. 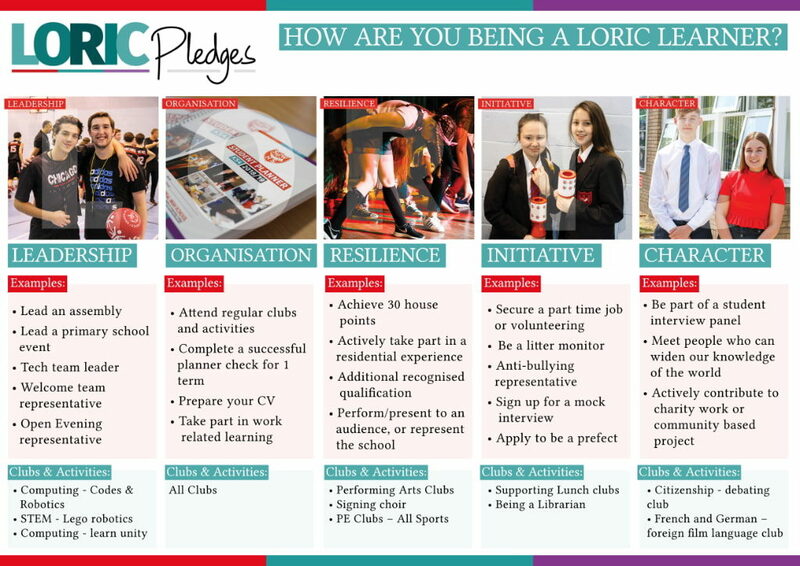 To ensure students receive high-quality enrichment activities and cultural experiences throughout their seven years at South Wirral through key stage 3 to key stage 5, we have written our own LORIC pledges which have been created to ensure all students have access to an all-embracing range of learning experiences outside of the classroom. Each pledge represents a LORIC standard which signifies Leadership, Organisation, Resilience, Initiative & Character. Over each key stage, students will be expected to complete at least 5 elements of each LORIC standard. A minimum of 25 pledges will be achieved at each key stage. The LORIC pledges will form part of the registration activity once a week and tutors will be responsible for recording the accomplishment of each pledge. This will be recorded on SIMS and achievement of these pledges will be celebrated during house assemblies, led by an Assistant House Progress Lead. Evidence of each pledge achieved will also be recorded and documented in a student progress folder.